Hellen Louise Woosley Milstead, 89, was born to William Joshua Woosley and Eunice Perkins on November 21, 1929, in Slaton, Texas. She walked into heaven’s gates on April 14, 2019, in Canadian, Texas. 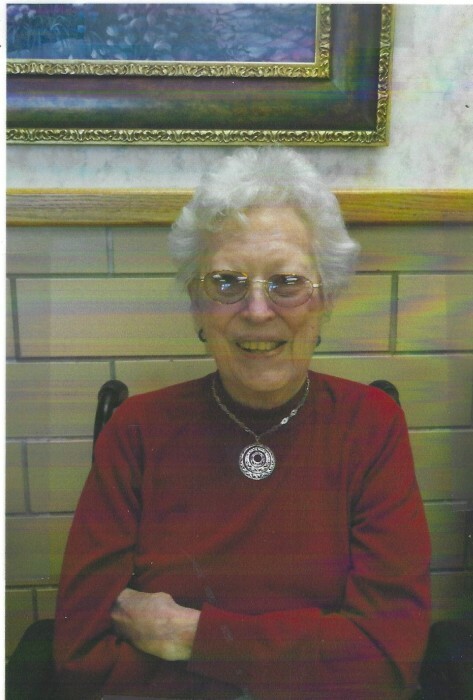 Hellen attended Flower Grove schools for her education and graduated in May of 1946. On June 21st of that year, she married the love of her life, Alvis Milstead at his parents’ home in Patricia, Texas. They started farming in the Brownfield area and later moved to Tokio, where they continued their journey. In April of 1955, they had a daughter Patricia Ann. In 1966, Hellen and Alvis bought their home place 2 miles south of Plains. They moved in on their 25th wedding anniversary, in the rain. They lived together on the home place until 1993, when Alvis passed away. Hellen continued to live on the family farm until 2014 when her health forced her into an assisted living. Hellen is survived by her daughter Patricia Wynn and husband, Kevin of Follett, Texas. Two Granddaughters, Heather Howard, and husband, Mark of Follett, Texas and Amy Archuleta and husband, Jason of Lubbock, Texas. Seven Great Grandchildren: 5 boys Hunter, Dylan, and Hayden Howard of Follett, Texas, and Ryan and Kasen Anchuleta of Lubbock and 2 girls; Lucy and Evan Archuleta of Lubbock.